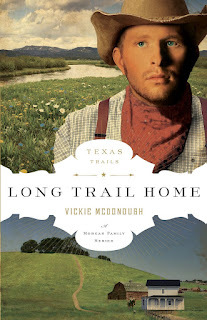 Last year, Moody Publishers caught my attention when they introduced the River North fiction line with a lineup that included Texas Trails, A Morgan Family series. I really enjoyed these books since the first one came out last year. Now that all the books in the series have been released and some are showing up on sale at on-line bookstores, I thought I'd tell you about them and not just what I thought about them. Following is the book cover and blurb for each book in the Texas Trails series. After Wande Fleischers' fiancée marries someone else, the young fraulein determines to make new life for herself in Texas. With the help of Jud's sister Marion, Wande learns English and becomes a trusted friend to the entire Morgan family. When Riley Morgan returns home after fighting in the War Between the States, he is excited to see his parents and fiancee again. But he soon learns that his parents are gone and the woman he loved is married. Riley takes a job at the Wilcox School for the blind just to get by. He keeps his heart closed off but a pretty blind woman, Annie, threatens to steal it. Through painful circumstances, Riley and Annie learn that the loving and sovereign hand of God cannot be thwarted. In 1896 Brooks pulls into the town of Shoofly to take refuge from a storm and befriends John Langston in the local cafe. A high stakes poker game ends with Brooks holding the deed to John’s ranch with one condition – Brooks must promise to take care of Keri. Brooks agrees and assumes that Keri is a horse. Overcome by guilt, Brooks return to the cafe to give back the deed but finds John on the floor dead. Brooks heads off to take care of John’s ranch and is ambushed. With a noose around his neck, hands tied behind his back he offers a prayer up to God. A stunning shot breaks the rope and frees Brooks. The bullet is delivered from the rifle of a lady on horseback. But the lady is Brooks’ enemy too. Will she and Brooks put aside their differences and work together? If you're looking for reading enjoyment in a historical western series with a variety of stories based on 19th century western life, then this is an very good choice. The accomplished authors know their material and craft. I liked how the origin of the morgan horse breed was incorporated into the series. 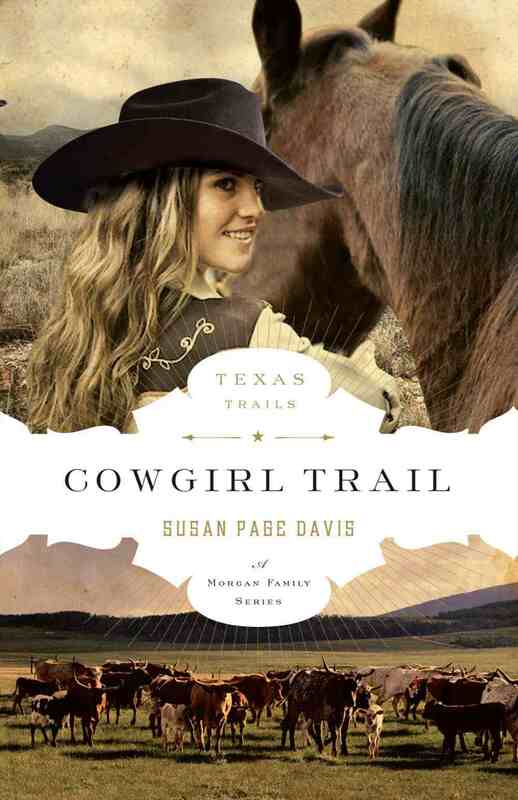 Some readers may find the 'girl power' in Cowgirl Trail hard to take in, but in my own research, I've read several books and articles on women who did a man's job because it needed to be done and there was no one else to do it. And I really liked the way it was done in this story. Refreshing. To learn more about the Texas Trails series (including a family tree and a detailed map! ), visit www.texastrailsfiction.com. The River North Fiction blog has more information on these books including author interviews and interesting research facts. I couldn't find a category or label list, but there is a search box at the top of the page. Type in the title of the book you're interested in and all the pertinent posts will appear. 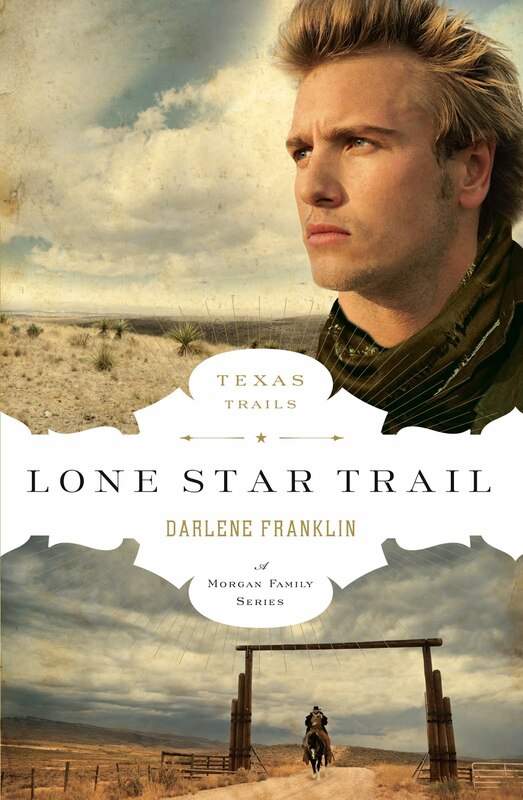 Have you read any books in the Texas Trails series, or from River North? What did you think? 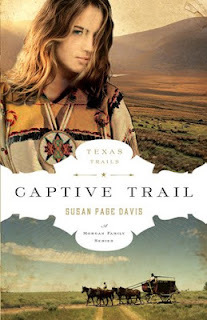 Captive Trail has caught my attention on several occasions, although I haven't read it yet. Love stories with Native Americans. Dina, I really enjoyed Captive Trail because of the unique point of view. Taabe Waipu has forgotten the english language and it sets up some interesting and humorous scenes as the nuns try and get her to do things that seem strange to her Comanche ways. 99 cents for Captive Trail ebook at Barns and Noble as well. For 79 cents, you can buy the Captive Trail ebook from www.cbd.com and download their free ebook app to read it on. I'm sure it's on sale at other book sellers, too, but those are the ones I'm familiar with. 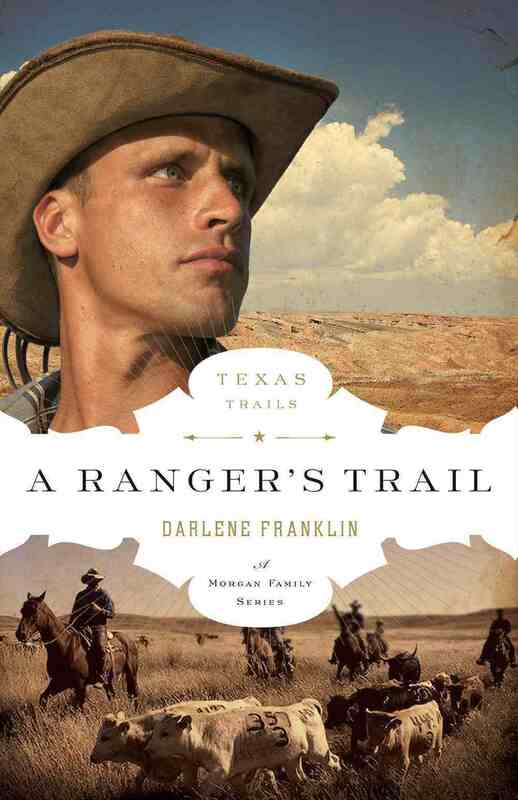 Keep an eye on the Texas Trails authors on Facebook and Twitter because that's where I heard the sale price. Ack! I have to admit that, as usual, I have a couple of these books but haven't read them. They sound like good reads though. Someday I'm just going to disappear for a week or so and just read. Niki, that's what one of my crit partners said when Dan compares the color of his horse's mane to Emma's hair in Emma's Outlaw. But you have to understand that Dan's horse is his best friend and they've been together over 20 yrs. It's one of the best compliments Dan can give Emma at that point. Now that's not the case in End of the Trail where Brooks has no idea who or what Keri is. But Vickie McDonough has used it well to introduce a cute meet between Keri and Brooks. His thoughts leading up to the event is all positive and accepting of Keri regardless of what the outcome. I liked Keri. But what I liked more was the element of satisfaction Vickie brought in because of a secondary character. It was a great end to this exceptional series. Haha DeAnna, I know the feeling. The great thing about getting them like this after all the books is out is being able to read them together without having to wait for the next one. I'll tell you what... you pick a weekend and we'll have an on-line reading retreat with each of us just reading in our own homes. Like Nanowrimo, but reading. What should we call it? What about Inky novel reading weekend? That would work out to InkNoReWe. A-ha-ha. I kinda like, eh. Heh heh . . . that would work. InNoReWe kind of sounds like an Indian tribe or something. "He was an Innorewe brave. . . "
Great post, Anita. I've read the first book in this series but haven't had time to catch up with the rest yet. All the authors are strong. You're right, DeAnna. That sounds better. Hmm... should we get Dina to write a refrain for us? Yes, Susie, they are. 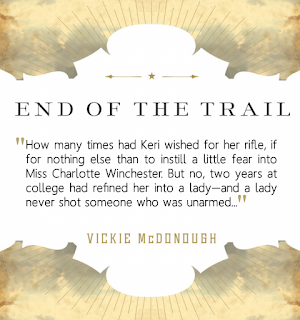 I really enjoy Vickie's books and this was a chance to check out Darlene and Susan's works. I grabbed one of these on Kindle and can't even tell you which one but I know these are great authors and I love the idea of a six book series. I have always loved family sagas! Thanks for helping me figure out what's going on in the big picture, Anita. I hate the feeling of wanting to read so much more than I get to. A month of reading sounds great. Actually it's one of the great perks of vacation. Even with a laptop, it's not always convenient to write but reading is a lot easier for me to manage. I love the way six authors wrote the series. Very cool. Thanks for telling us about these, Anita. Deb, I can't read on vacation because I'm too busy oggling everything and taking pics. Too worried I'll miss something. Yeah, I really like family sagas and series. 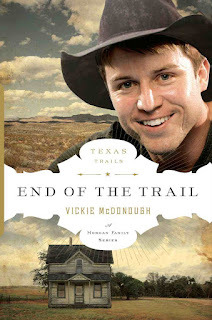 Actually, I'd let this go, but I don't want to disillusion the readers out there... there are only 3 authors and they each wrote 2 books in the Texas Trails series. I liked that aspect of the series as well, because sometimes if the authors' writing styles are too different, I lose the sense of characters from one story to the next. Not with these ones, though. I'm thrilled to know that the one I have on my kindle is the first in the series! Wow. All the reviews make me anxious to get started. Anita. My reading on vacation is limited to bedtime or like last trip a day in Airports and planes. I didn't get much reading in at all on my trip to Virginia last spring. I know just what you mean. Anita, thanks so much for this shout out! And I appreciate all of your visitors. Cowgirl Trail (I didn't write the book, Susan Page Davis did) was inspired by a historical fact: cowboys went on strike. Perfect setting for a "what if" story . 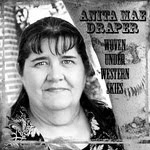 . .
My stories grew out of the German immigration to Texas in Lone Star Texas and the Mason County range war. Anita, thanks for the shout-out! An entire set of the Texas Trails series is being given to one lucky winner at http://www.faithdeployed.com/wp-comments-post.php. You have until Tuesday 11-20 to register. Also giving away my two books as well as my trilogy, Maple Notch Brides. Thanks so much for featuring the Texas Trails series on your blog this week. It's a fun and interesting series, and I'm honored to have been one of the writers. If your readers have questions about the series I'd be happy to try to answer them. Thank you, Darlene. Of course, as soon as I read your comment I went over the post and comment to see if I'd put your name as the author of Cowgirl Trail instead of Susan Page Davis, but since I can't find it I'm assuming you're only saying it so people don't assume you wrote it when they read the facts behind the story. I totally agree. There are many instances when women and even youngsters were used because that was all they had. That has never changed... you make do with what you have. Thanks Vickie. I appreciate you popping in and letting us know you're available for questions. 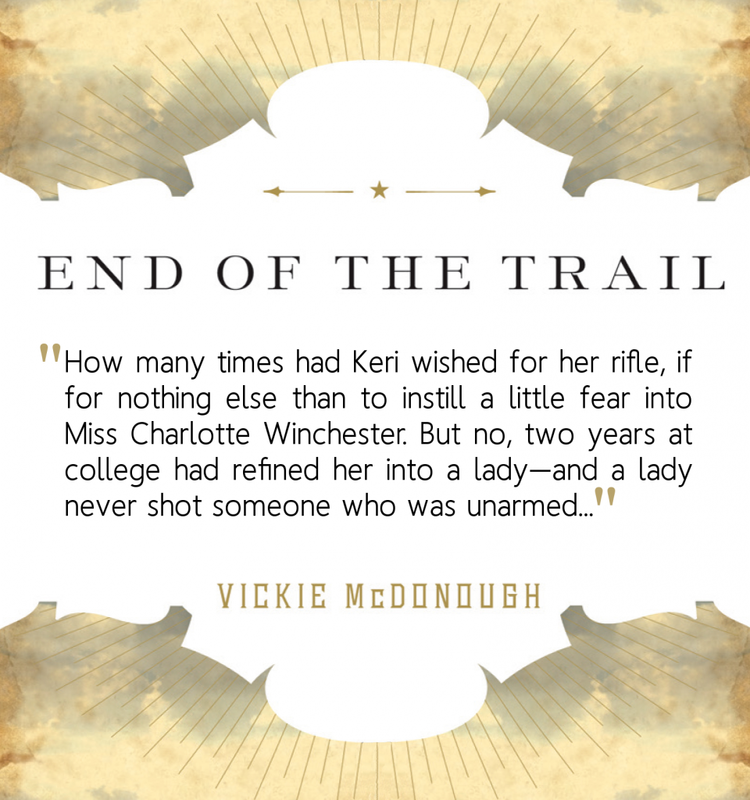 And thank you for the email... Vickie announced that the ebook version of Long Trail Home is now on sale for 99 cents at most online bookstores and 79 cents at christainbook.com. Keep writing, Vickie. I really enjoy your books.